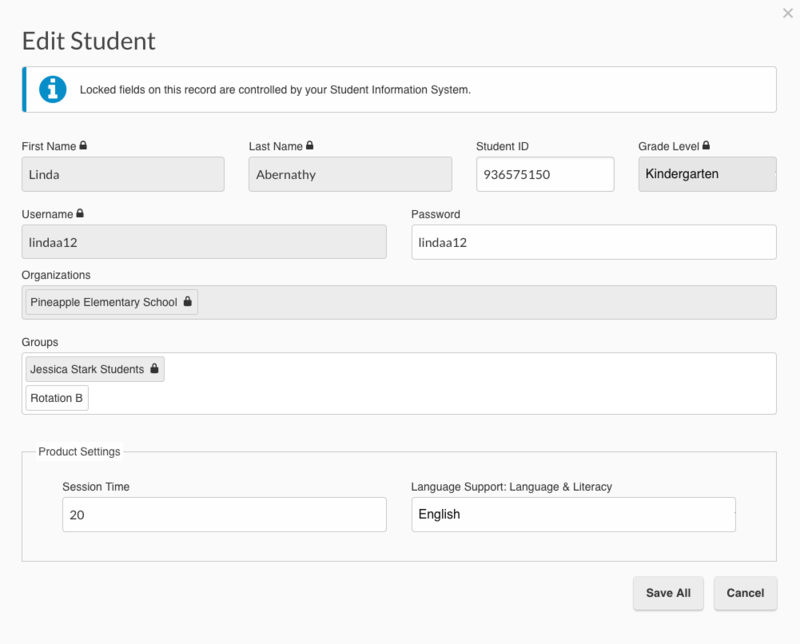 Some districts and schools create and update student, staff and group records in the Imagine Learning Portal through a rostering integration with their Student Information System. Records and fields in the Imagine Learning Portal that are controlled by a rostering integration are now identified with a Locked Record icon. The icon and associated enhancements to the interface distinguish the edits that can be accomplished within the Imagine Learning Portal from those that are controlled by a rostering integration. Students and Staff may be associated simultaneously with Groups that are controlled by a rostering integration and Groups created within the Imagine Learning Portal. 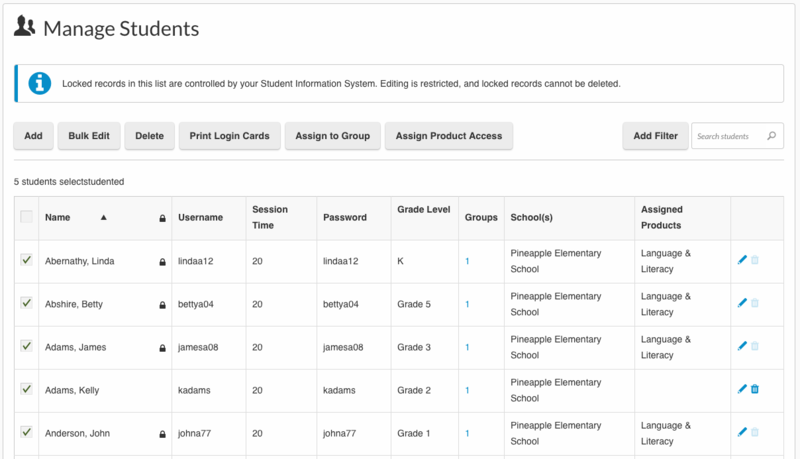 Group records and assignments that are controlled by a rostering integration carry the Locked Record icon, and cannot be edited from within the Imagine Learning Portal. Group records and assignments that are not locked can be edited within the Imagine Learning Portal, even if associated Student and Staff records are controlled by a rostering integration. We've resolved an error in Benchmark Test reporting views aggregated by group. The error previously occurred when attempting to view data at organizations with no associated groups or only empty associated groups.